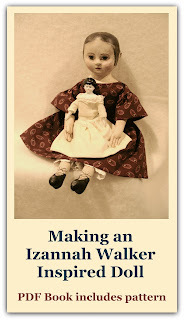 Elizabeth Isenburg, who writes Steamboat Arabia: A Historian's Blog, has generously shared this lovely daguerrotype of Mary Jenks holding an Izannah Walker doll. 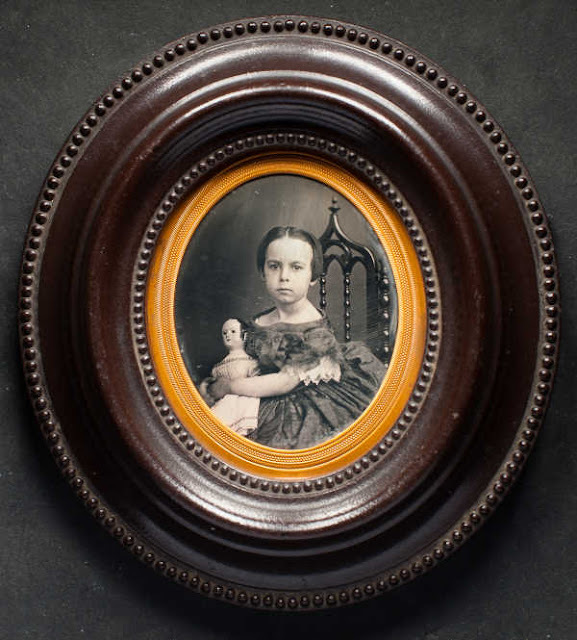 I found the image on her blog after doing a search online for Izannah Walker doll daguerrotype/ambrotype/tintype. If you visit the Steamboat Arabia blog you can see the image before it was cleaned. An amazing difference! 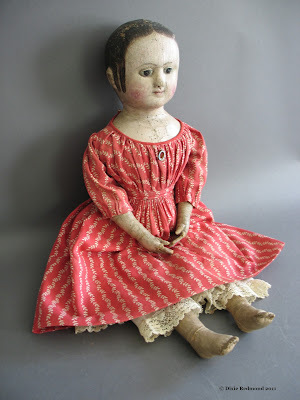 Elizabeth also had Mike (the restorer) take an image of the Izannah daguerrotype without the frame, because it gives a lot of information about the dress of the child and the doll. 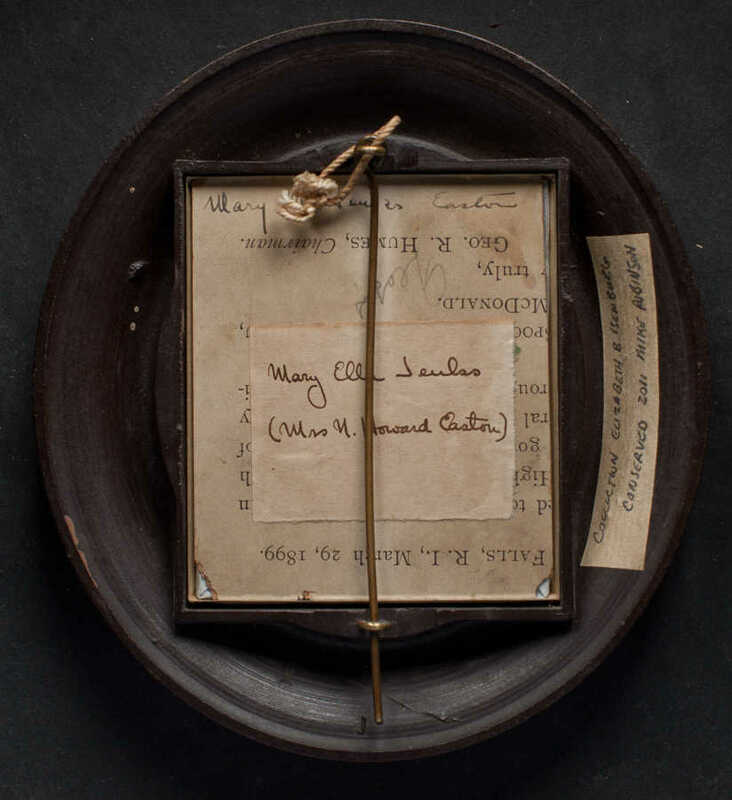 Elizabeth shared that when the image was opened for cleaning, there was "documentation that this is Mary Ella Jenks (1850-1923). This was a wonderful surprise because I thought it was Martha Chase because her CDV as a teenager closely resembled the little girl. I know I am preaching to the choir but Mary is first cousin to Martha and was the daughter of Pardon Jenks in Pawtucket." 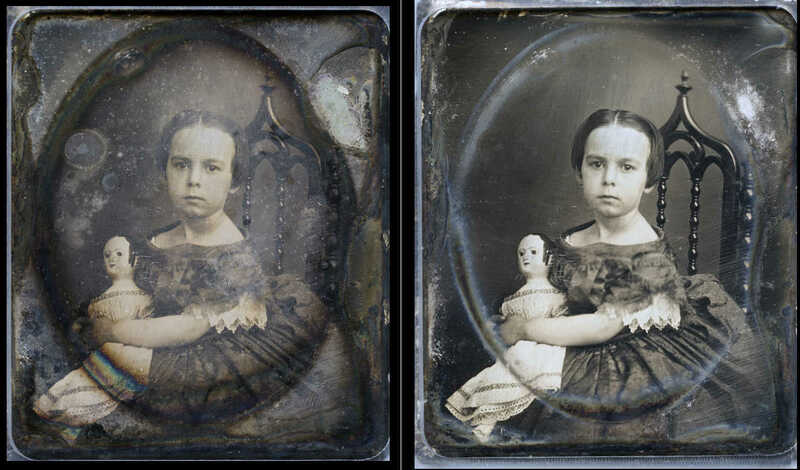 Elizabeth said, "As you can see by the 2nd photo, I found the documentation for Mary in two places inside the frame. I wanted these to be seen from the back and they are protected under glass. The restorer said that the dag must have been opened to cleaned in 1889 when Mary was 49 years old, hence the ephemeral card stock dated 1899. As I mentioned, Mary did not die until 1923 so I assume this is her handwriting." Many thanks to Elizabeth Isenburg for sharing this image.